From the incredible ancient city of Bagan to Myanmar’s quiet and beautiful beach resort towns, spending two weeks in Myanmar lets you see all of the country’s top destinations at a pace that means you won’t need to rush from one destination to the next. Below, we’ve prepared a two week travel itinerary for Myanmar that visits the interesting cities of Yangon and Mandalay, the ancient Buddhist temples of Bagan, the relaxing coastline of Ngapali Beach and the incredible natural beauty of Inle Lake. Note: Although Myanmar is a developing country, travelling can be surprisingly expensive. Our How Much Money Do I Need For Myanmar? guide explains how much you should budget while visiting Myanmar, from hotels and transportation to restaurants and bars. Your two weeks in Myanmar starts by flying into Yangon, Myanmar’s most important economic city. The former capital of Myanmar, Yangon blends Burmese culture with many British colonial buildings and a culture that’s a mix of Burmese, British, Chinese and Indian. You’ll need a visa to enter Myanmar if you have a passport from outside Southeast Asia. As of 2014, e-visas are available for citizens of over 100 countries. You can learn more about the visa process for Myanmar in our Myanmar Tourist Visa on Arrival guide. Yangon has a great selection of hotels, ranging from opulent five star grand hotels to cheap and simple guesthouses. Our Yangon Quick Guide lists the city’s best luxury, mid range and budget hotels, with recommendations for things to see and places to eat. At 99 metres in height and 2,600 years in purported age (historians believe 1,000 to 1,400 years, but its exact age is unknown), the Shwedagon Pagoda is Myanmar’s most significant Buddhist pagoda and one of the most significant Buddhist sites in the world. 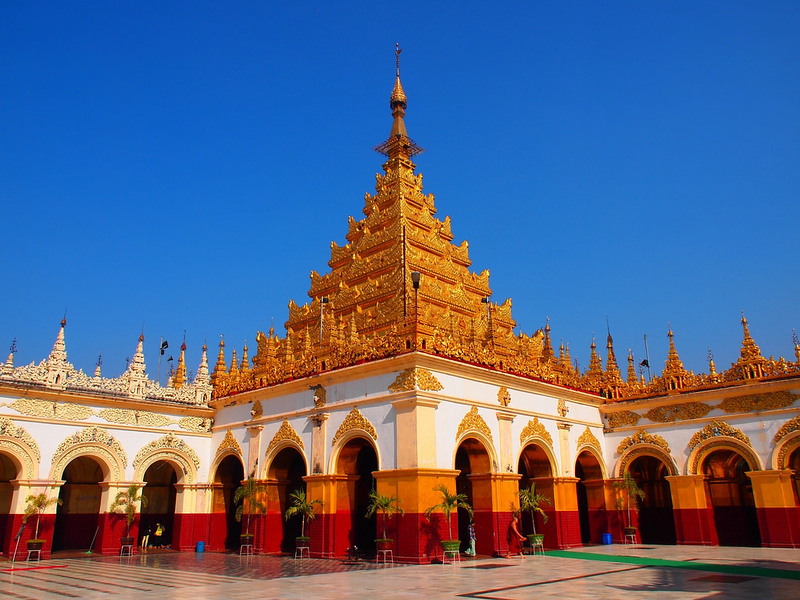 The Sule Pagoda is a small Buddhist stupa in central Yangon. At 44 metres in height, it’s less of an incredible sight than the giant Shwedagon Pagoda, but has served as a major rallying point during demonstrations against the country’s military government. 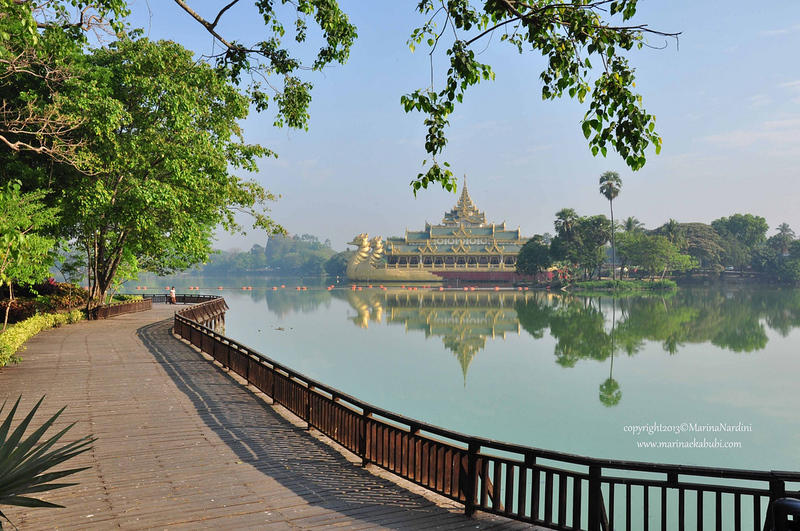 Yangon’s two manmade lakes — Kandawgyi Lake near the Shwedagon Pagoda and Inya Lake in the north of the city — are great places to relax and enjoy a side of life in Yangon that many tourists don’t see. Located 25 kilometres north of Yangon, the Taukkyan War Cemetery is a cemetery for Allied soldiers that died in Burma during World War II. More than 6,300 soldiers are buried in the cemetery, with the names of a further 27,000 soldiers engraved on the Rangoon Memorial. Yangon also has a great selection of museums, colonial buildings and religious sites of interest for visitors. Our Things To Do In Yangon guide lists several other pagodas, museums and other things to do around the city. After three days in Yangon, it’s time to head to the beach. 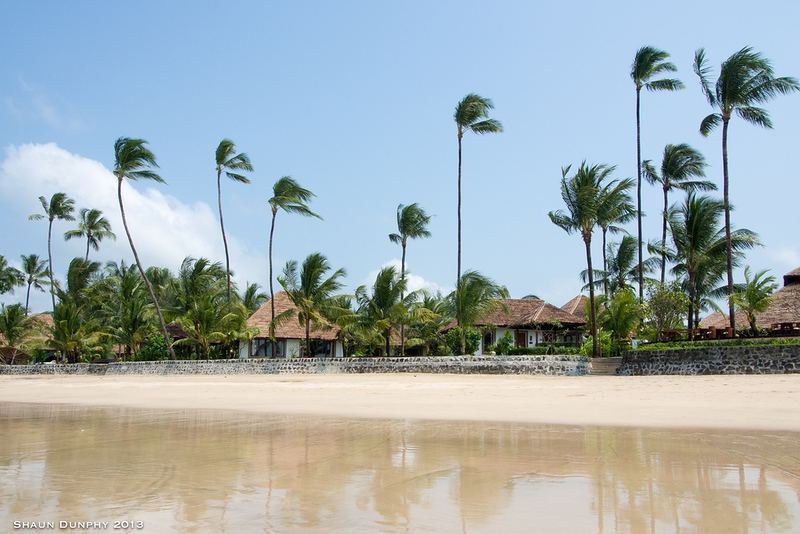 Myanmar’s beach resorts are far less developed than their alternatives in Thailand or even Vietnam, making destinations like Ngapali Beach ideal for experiencing Southeast Asian beach life without the usual crowds. Ngapali Beach is a short one hour flight from Yangon, with several flights leaving for Thandwe Airport daily. From Thandwe, it’s a short 10 minute drive to the beach and its growing selection of resorts and guesthouses. Laid back and quiet, Ngapali Beach is all about relaxation. Pearl Island, a small island located a short distance from Ngapali Beach and accessible by boat, is a popular day trip destination, with clear water that’s ideal for snorkelling. Our Ngapali Beach Quick Guide lists the best luxury, mid range and budget hotels in Ngapali Beach, as well as the beach’s best activities, tourist attractions and restaurants. After three days on the beach, it’s time to visit the beautiful ancient city of Bagan. Unfortunately, there are no direct flights between Thandwe and Bagan, making it necessary to first fly back to Yangon, then catch a connecting flight to Nyaung U Airport near Bagan. 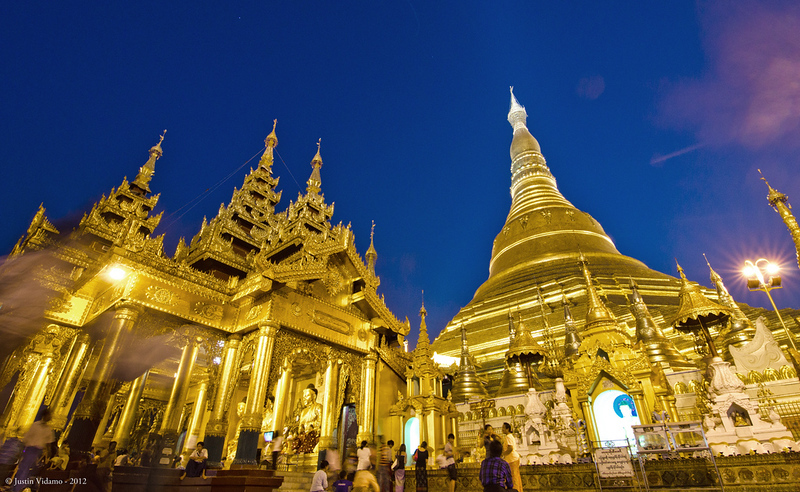 One-stop flights are available from Golden Myanmar Airlines and Air KBZ, connecting Thandwe with Nyaung U in just over four hours. After you arrive in Bagan, you’ll be asked to pay a $20 US dollar (or 27,000 kyat) fee for entry into the Bagan Archaeological Zone. With over 1,000 temples and ruins, most of which were built during the 11th and 12th centuries, Bagan is one of the world’s largest archaeological sites. Our guide to Bagan’s essential temples covers the area’s must see temples, all of which can be visited over the course of two days. Myanmar’s second largest city, Mandalay was the last royal capital of Burma and remains one of Myanmar’s most economically important cities. Mandalay Palace, Mahamuni Buddha Temple and other cultural and religious sites make Mandalay an interesting city for a short stopover. Travelling to Mandalay from Bagan is simple. Flights depart frequently from Nyaung U Airport throughout the day and reach Mandalay in about 30 minutes. It’s worth spending at least two days in Mandalay before continuing on to Inle Lake. As Myanmar’s last royal capital, Mandalay is home to a large variety of royal and religious sites, including the Mahamuni Buddha Temple and Mandalay Palace. Our Things To Do In Mandalay guide covers Mandalay’s main attractions, from Buddhist temples to the remarkable U Bein Bridge. One of Myanmar’s biggest tourist attractions, Inle Lake is a vast lake in central Myanmar that’s one of Southeast Asia’s most important ecosystems. The lake is home to a variety of different tribes, many of whom live on the water, as well as thousands of migratory birds. There are two ways to get to Inle Lake from Mandalay. The cheapest way is to catch a night bus from Mandalay to Inle Lake, which takes around seven hours. An easier, more expensive option is to fly directly from Mandalay to Heho Airport, which is a short drive from Inle Lake. Our Inle Lake – How To Get There And Where To Stay guide lists the best guesthouses, hotels and resorts around Inle Lake. Like Bagan, there is a fee for travellers entering Inle Lake — you’ll be asked to pay a $10 USD fee upon arrival. 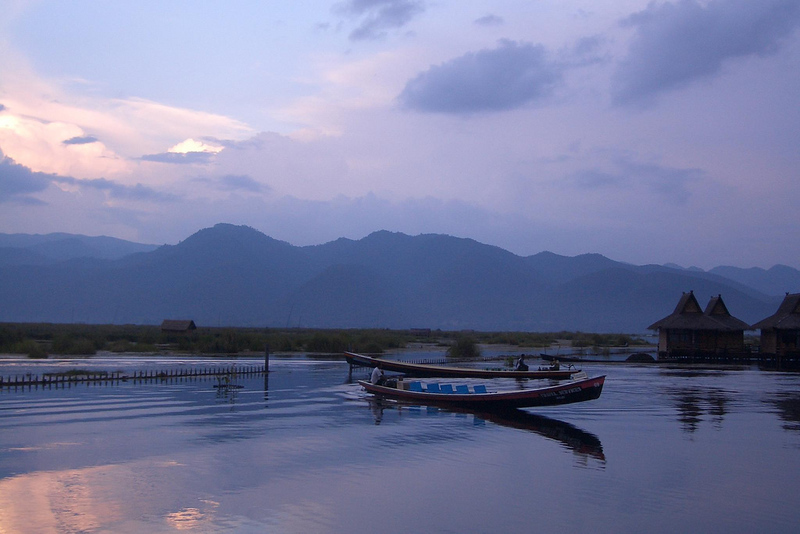 Inle Lake is best experienced by boat, with group and private tours of the lake available. It costs about $15 to $20 to tour the lake by boat for the day. It’s also possible to hike in the hills around Inle Lake, which is a great way to see the beautiful surrounding scenery. Our Inle Lake – Things To See And Do guide includes an itinerary for touring the lake without bumping into too many other tourists, as well as a list of places to visit in the area around the lake. If you’re flying out of Yangon early on day 14, heading back from Inle Lake on day 13 gives you a chance to see more of Myanmar’s biggest city and get a good night’s sleep before your flight. There are frequent flights between Heho and Yangon, with the trip over in slightly more than one hour. Revisit our Yangon Quick Guide for things to do in the city if you’re spending a night there before flying home the next morning. If your flight out of Yangon leaves later on day 14, it’s also possible to spend an extra night near Inle Lake and fly back on the morning of the 14th day. From Yangon, flights are available to all major hub cities in Southeast Asia, such as Singapore, Bangkok and Kuala Lumpur. Start Planning Your Myanmar Trip Now! :: Find available places to stay in Myannar on Booking.com - usually you can reserve a room with no upfront payment. Pay when you check out. Free cancellations too. 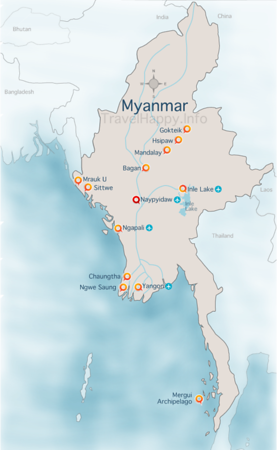 :: Find the cheapest flights to Myanmar with Skyscanner - one search will show you the prices and times from scores of airlines for your trip. A real timesaver. :: Get travel insurance for Myanmar from World Nomads - make sure you're covered to protect both your health and your belongings. World Nomads lets you buy insurance online quickly and easily. :: Book bus and domestic flight tickets in Myanmar with 12Go - easy to use website that lets you check timetables and buy tickets online. :: Need inspiration? 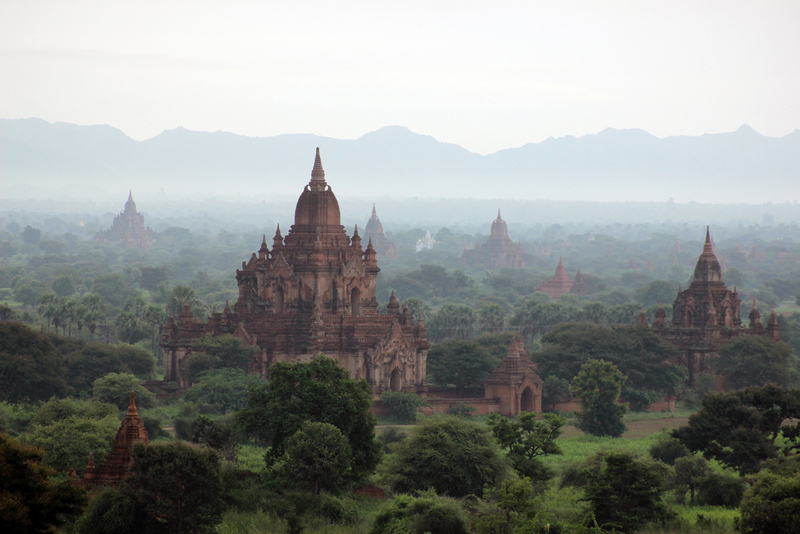 Check our Myanmar Itineraries for ideas of where to go and what to do. 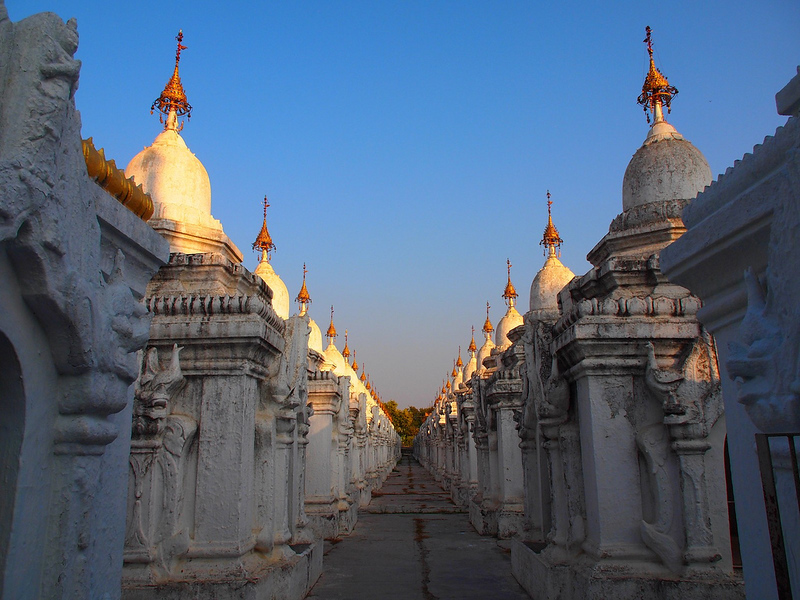 :: Explore our Myanmar Travel Guide for more Myanmar must-see destinations.